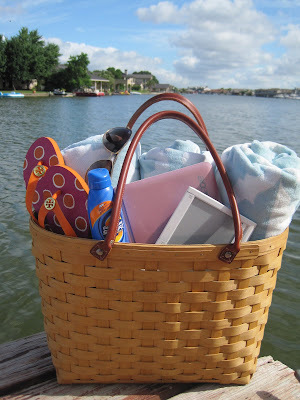 These are some of my favorite summer must haves when I hit the lake or pool or a weekend away. The basket is much larger than it looks and has great leather handles. The handmade basket is made by Longaberger (www.longaberger.com) it is the Large Boardwalk Basket/Tote, I purchased the hard plastic liner to go inside to make spills and clean up easier, you can also purchase fabric liners but I am not in love with them.I have three huge beach towels in it for the picture and could have easily put another. This basket/tote is also great for anything, food and drinks, whatever you want to use it for. This for me was the find or surprise of the summer. 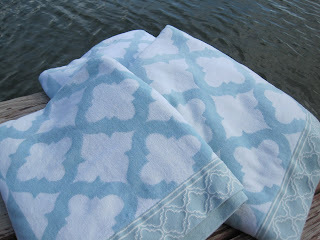 I love, love, love these pool towels. They are pretty, huge and thick. Best of all they were only $16.00 each, at Wal-Mart of all places and made by Better Homes and Gardens. They had other in shades of green and brown. These were my personal favorites. I'm still so shocked and impressed. Way to go Wal-Mart. 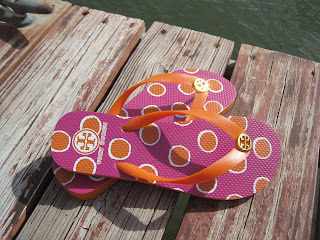 Now my Summer weakness, I am only showing one pair. 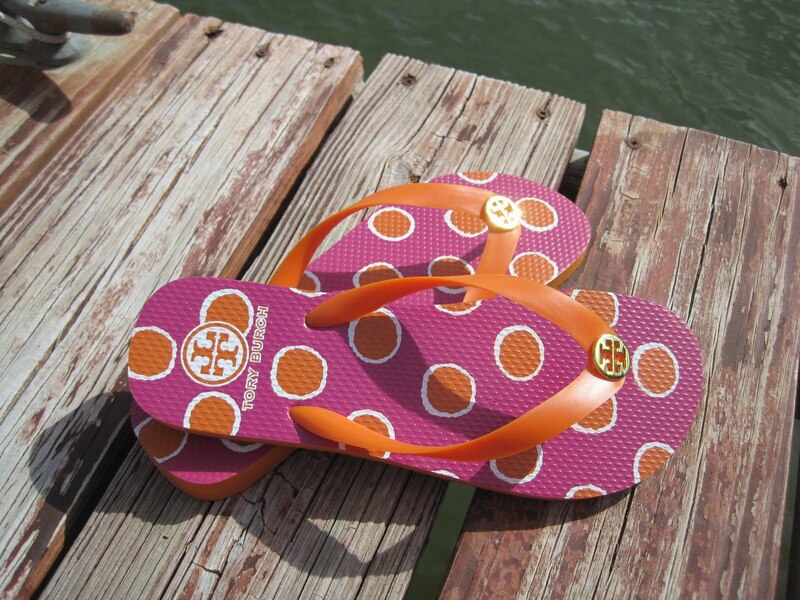 Tory Burch flip flops (about $50), stylish, comfortable (but would it matter), adorable and I am sure I could sell them off my pedicured toes sometimes because they sell out as quick as they hit the stores. 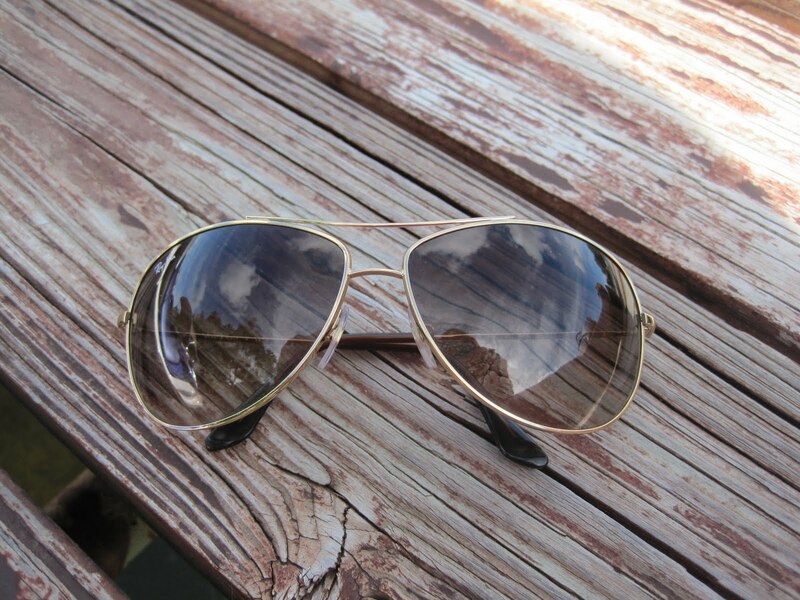 I wear contacts and sunglasses are a must so I can barely walk by a sunglasses counter without trying on a pair and occasionally taking home a pair. 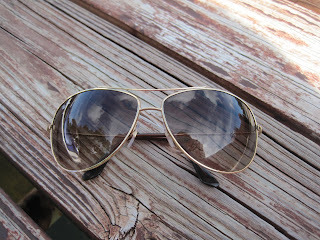 But the most trusted pair in my sunglasses wardrobe would be my Ray Ban Aviators, I am on my third pair due to losing a pair, breakage, losing another pair at a Disney water park. But I keep going back and loving them. I hope I don't break or lose these after all this! I take my tiny little pink notebook with me to travel, I would be heartbroken if someone stole it, but it would be easier to replace it and I wouldn't be crying as I paid for it. I might miss some of the information on it but I try to put most of the information on my flash drive. 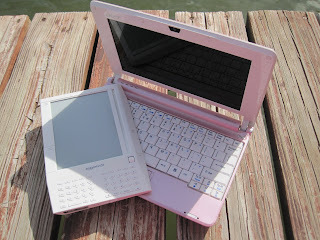 The notebook is perfect for what I need it for, the Internet and blogging. I love to read and do read all kinds of different things and the interest changes at any given time and moment and so the Amazon Kindle is perfect, although I am in LOVE with the idea of an Ipad.